Foreign students are increasingly choosing to study at universities in Poland, attracted by the country’s low cost of living, promising job prospects and high education levels. Over 46,000 foreign students from nearly 160 countries studied in Poland during the 2014-2015 school year according to an analysis by Warsaw-based Perspektywy Education Foundation. This is an increase of more than 10,000 from the previous year and international students made up 3.1 percent of the total student body. According to the study, 83 percent of international students were from European countries, mainly Ukraine. 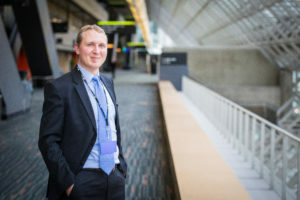 Sviatoslav Piranovsky started studying to become a prosecutor in his native Ukraine, but quickly decided against a career in law, instead moving to Warsaw. Sviatoslav Piranovsky wanted to change his life and dreamed of traveling the world. Born into the Polish diaspora in the Ukrainian town of Bolekhiv, the 24-year-old left his country to move to Warsaw and attend the University of Finance and Management. Before coming to Poland, Piranovsky studied law in Kiev. “I wanted to become a lawyer because I was inspired by Hollywood films and I wanted to defend justice. But while I was studying, I understood that in Ukraine, it’s not as romantic as I thought. It was a very corrupt system in the courts and even good lawyers don’t earn enough money. You must do something illegal to make it big, and I didn’t like that,” Piranovsky said. He continued his education by finishing prosecutor school, but decided to take advantage of his Polish roots and was able to apply to a university in Warsaw. Since his grandmother was Polish, he had travelled to Poland in the past and speaks the language. He found an English-taught programme he was interested in, which might realise his goal of working for corporations and traveling. “I decided not to be scared of anything, because it would make me weak. I’m excited and happy to start classes in October,” said Piranovsky. David Dolhomut fell in love with Poland when he visited the country for the EURO 2012 football championship. Canadian-born David Dolhomut frequently visited his grandmother in Rzeszów, Poland, but he didn’t fall in love with the country until he came during the Euro football championship in 2012. He returned the following year and completed a four-month exchange programme at the Warsaw School of Economics. The Montreal native studies international business in order to have an economic, political and economic outlook on the world and is interested in the European Commission to work on further European integration. After he graduates, Ivan Shema wants to grow his business selling coffee in CEE. Shema was born in Uganda but lived in Rwanda after the Rwandan Tutsi Genocide in 1994. After earning a bachelor’s degree in applied computer science, he realised he wanted to be an entrepreneur, so he is currently studying international business for his master’s degree at the Warsaw School of Economics. 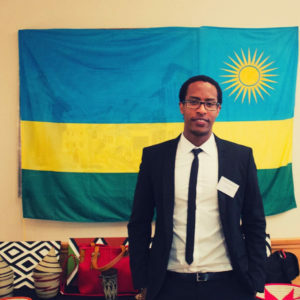 Once he finishes his studies, Shema plans to dedicate all of his energy and focus on improving the operations of 1000 Hills Products – a company he founded which distributes coffee from Rwanda to Central and Eastern Europe with a main focus on the Polish market. Dr. Alexandra Richie loves seeing her students positively surprised by what Poland can offer. 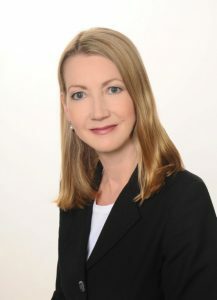 Dr. Alexandra Richie is the Władyslaw Bartoszewski co-chair of History and International Studies at the Collegium Civitas and leads the study abroad programme in partnership with the School of Russian and Asian Studies in the US established last year, English-speaking students are invited to Warsaw to study history and culture or security and defense. Richie decided the best way to convince people Poland is “wonderful” and “amazing” is by showing, not telling. “I thought, let’s get students here. Let’s just get them here and show them. And it’s worked so far, and we just want to keep expanding the programme as much as we can,” she said. After each session, she asks students for feedback and many responded that they had no idea or never expected Poland to be this way. Some have stayed to do internships, or plan to return. Richie graduated from the University of Oxford and is a historian specialising in Central and Eastern Europe. She is the author of “Faust’s Metropolis: A History of Berlin” and “Warsaw 1944”– both of which won prestigious awards. She says that the world’s view of Poland perhaps dates back to the time when cities like Berlin or St. Petersburg were growing in the 19th century, but Warsaw was a kind of “no-man’s land” because the partitions stunted development and the train and road links didn’t connect the capital city to the rest of the country. “This economic backwardness of course led to these huge mass immigrations to the United States, Canada and other countries, bringing perceptions of Poland that were of poverty, backwardness, anti-Semitism, oppression and that stereotype of Poles remained,” said Richie. After World War I, Poland was recreated but then World War II devastated the country and Communism put Poland behind the Iron Curtain. “It’s true of all countries that were behind the Curtain – people in the West kind of forgot about them because they were too busy rebuilding Western Europe,”said Richie. Based on her experiences, Richie said people still come here thinking they’re going to find 1970s Poland. 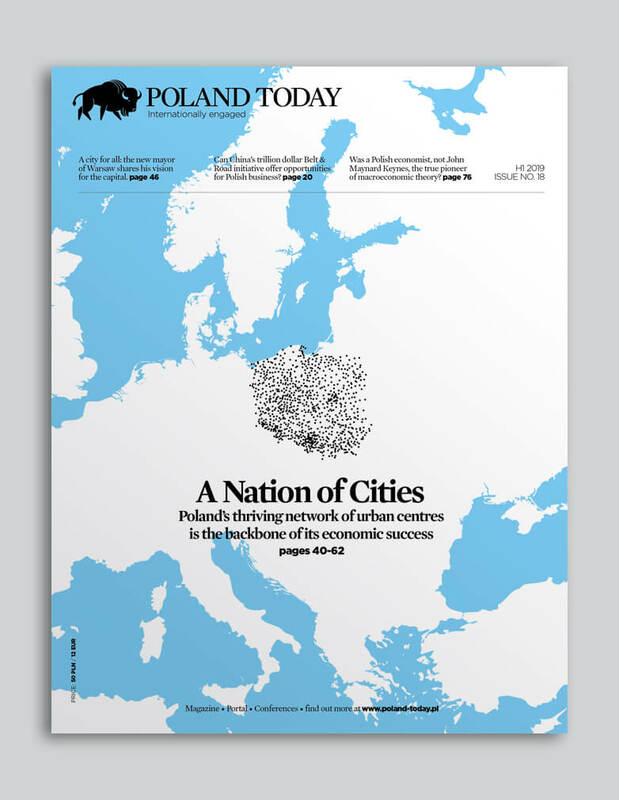 But after 1989, the incredible changes, youthful entrepreneurial spirit and energy have created a new Poland– one worth visiting. Since she thinks Poland is bad at marketing itself, her solution is education. She wants to get as many students to study in Poland as possible so they can see it for themselves. Richie plans to involve people who have Polish roots and want to know about their ancestors’ country but also encourage entrepreneurs who are interested in startups and new developments. 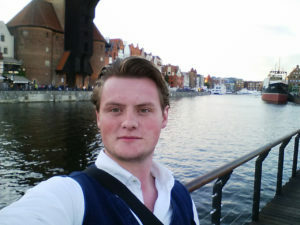 The benefits of choosing Warsaw as a destination for studing abroad – over Paris or London – is the specialised attention, lower cost and unique experience, said Richie. This summer, students interested in security and defense were in Warsaw during the NATO Summit which was held in the city in July. She said there is new interest in this part of the world for military defense studies and cyber security. One student who was in the US military used her two weeks’ leave to come for the programme. Students who registered for cultural studies realised “it’s another Western European country that has not yet been discovered,” Richie said. During the school year at Collegium Civitas, located in the iconic Palace of Culture and Science in the centre of the city, students from Poland, Ukraine, China, the Middle East and all over the world study a variety of disciplines ranging from sociology to international relations. Almost half of foreign students at Polish universities come from Ukraine and Belarus, followed by Norway, Spain and Sweden. Every third foreigner studies a medical-related course, every fourth economics or business, over 16 percent social sciences, almost 13 percent technical studies and 10 percent humanities. According to governmental aims, by the year 2020 five percent of all tertiary education students should be from abroad. Since 1998, the year when Poland joined Erasmus, the European Union student exchange programme, over 60,000 foreign students from EU countries have studied in Poland while some 150,000 students from Poland having spent a portion of their education in another EU country.